NEWPORT BEACH — The 2013 Lido Boat Show — held Sept. 26-29 — offered more than an opportunity for boating enthusiasts to shop for new vessels. There were more boats this year, 14 percent more booth exhibits and 75 percent more dry land exhibits than a year ago. Show results prove that the recreational boating industry is beginning to move forward, and attendance increased nearly 30 percent. Attendees came to the 35th annual Lido Boat Show in great numbers, to board and inspect more than 150 new and brokerage boats displayed in the water — including brand-new models making their West Coast debuts. “We were very happy with not only the amount of traffic, but the quality of the attendees,” said Ray Jones, owner of Long Beach Yachts Sales. The company sold models of both Cutwater Boats and Ranger Tugs, and Jones said he has been inspired to put even more effort out for their customers. Mikelson Yachts also reported strong results at the Lido Boat Show, selling its brand new 2014 Mikelson 43 to a buyer met at the show. “General enthusiasm and attitude of other brokers and vendors seemed to be on a more positive trajectory — and there were certainly buyers walking around, as evidenced by our sales success at the show,” noted P.J. Sullivan, Mikelson Yachts broker. “The Newport and Lido shows have always been among our most successful sales events,” Sullivan said. “It’s always nice to find a buyer at the show. Three out of five boats were sold from Valkyrie Yacht Sales’ exhibit: the top-priced models, offered at over $200,000 each. Ironically, the smaller, $50,000 price-tagged boats, didn’t sell. Silver Seas Yachts reported selling five brand-new boats at the show: two 35-foot Cruisers yachts, two 41-foot Cruisers yachts and one special-order 63-foot Marquis yacht. “We haven’t sold more than one new boat at a single show in a while,” said Rick Young, Silver Seas Yachts general manager. The average price of the boats presented by Heritage Yacht Sales was up 25 percent at this year’s Lido Boat Show. The company received several serious leads from the Lido show, selling a 36-foot Carver just 10 days after the event, said Tony Duni, Heritage Yacht Sales president and owner. He added that the number of people present at this fall’s show was encouraging — especially during the weekend. Denison Yachts sold three vessels at the show — a 2006 Riviera 36, a 2005 53-foot Carver and a 1997 Beneteau 46. The three had price tags ranging from $140,000 to $300,000. 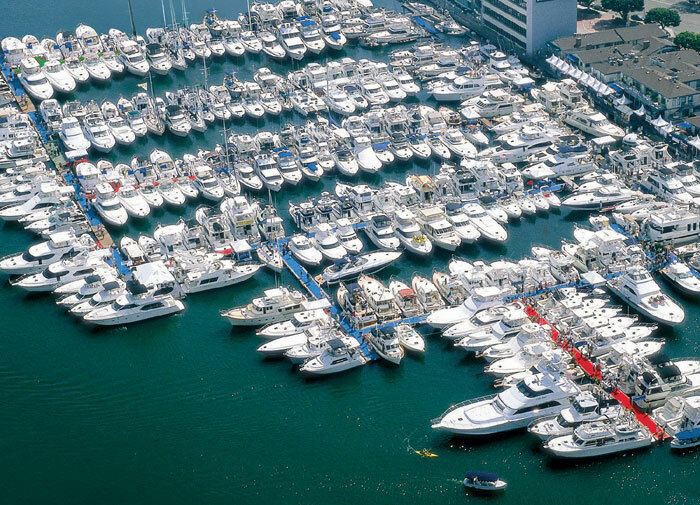 The Lido Boat Show is produced by the Duncan McIntosh Co. Inc., publisher of Sea Magazine, Boating World, The Log Newspaper, FishRap and Editor & Publisher, and producer of the Newport Boat Show — scheduled for April 24-27, 2014 at Lido Marina Village in Newport Beach.